Bruderheim will soon be home to a brand new Hemp Processing Facility courtesy of Canadian Rockies Hemp Corporation. “Farmers can grow a product, we can process it locally and consumers can use it. It just makes sense,” explained CEO Aaron Barr at the Town of Bruderheim’s regular council meeting on Wednesday, February 6. Canadian Rockies Hemp Corporation is described as an innovative agribusiness made up of 11 owners with diverse backgrounds. Most are from Sherwood Park, Gibbons and Thorhild with backgrounds in medical cannabis cultivation, land developing, engineering as well as agronomy. Although hemp and cannabis are similar, their differences lie primarily with the level of Tetrahydrocannabinol (THC). While Cannabis can carry THC levels between 15 and 40 per cent, hemp has a THC level of 0.3 per cent. Canadian Rockies Hemp Corporation CEO Aaron Barr. “You could smoke an entire bale of hemp and never feel effects from THC,” said Barr. Barr went on to explain that hemp is a very good option for farmers to add to their crop rotation. Advantages include less combine hours, no bin drying plus allows you to seed later harvest earlier. “Farming hemp is a lot like farming hay,” noted Barr. After being re-legalized in 1998, Hemp has made it to our markets by way of industrial fibres, food and pharmaceuticals. Although the Bruderheim facility will process all three, their focus will primarily be industrial fibres. 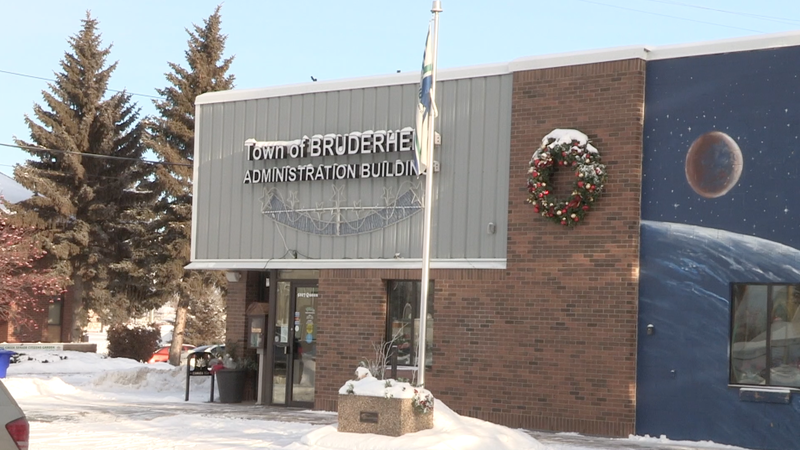 Bruderheim’s location, being central for local farmers, made it a very desirable place for the hemp corporation to plant their roots. 75 acres of land was purchased with plans to begin construction of the facility in May of this year and processing to begin late in the fall. Barr added that the Canadian Rockies Hemp Corporation will have 10 – 20 full time employees to begin the first year with up to 50 employees by 2020. The facility will include a weigh area, bale storage, test cropping area, three processing buildings plus a building for processing Cannabidiol (CBD) oil. Canadian Rockies plans to eventually service 40,000 acres of hemp and is aiming for up to 10,000 acres by their second or third year.